Super Smash Bros. Ultimate set to release in December. And since 'everybody is here,' Shacknews is taking some time to break down each of the game's characters individually, continuing with a long-requested fan favorite. Today, we take a look at one of the newest characters to hit the Super Smash Bros. roster. It didn't seem possible that series creator Masahiro Sakurai would fit one of Samus' nemeses into the Super Smash Bros. series. 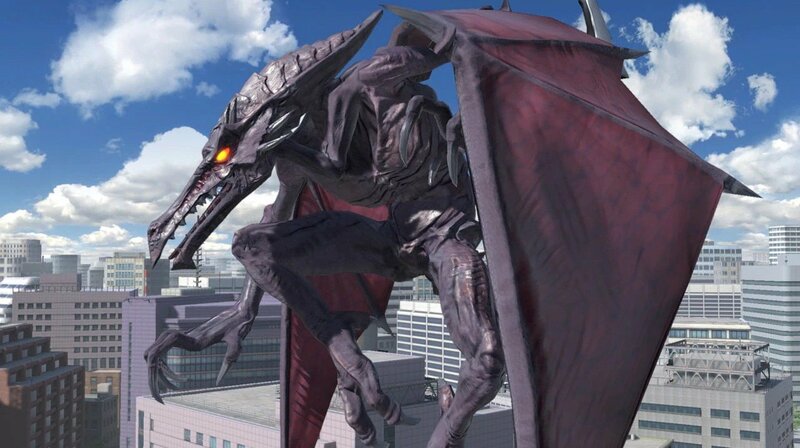 After all, Ridley is a massive beast. But the requests kept coming in. They piled on, one after the other. And finally, it happened. Ridley is the leader of the Space Pirates, a hulking beast leading a savage group of merciless pillagers. He's Mother Brain's second-in-command, but has plagued Samus long after the Brain's defeat. His shining moment came in Metroid Prime, when he faced Samus in his ultimate form, Meta-Ridley. But even still, he struggles to defeat his greatest enemy. Nothing encapsulates the Samus/Ridley dynamic like the E3 reveal, where Ridley uses stealth, cunning, blinding speed, and a killer rage to dispatch Mario and Mega Man. To Samus, however, this is just another day at the office. Shacknews had an extensive hands-on with Ridley back at San Diego Comic-Con. He has several moves that are going to appeal to casual players, like a multi-fireball and a side-special that's going to see a lot of action. But Ridley's a tough cookie to master, because he's at his most effective when hitting his sweet spots. But anyone who masters Ridley is someone to be feared, because he's fully capable of racking up KOs fast. Fireball (Neutral B): Like Samus, Ridley can charge up his projectile attack. 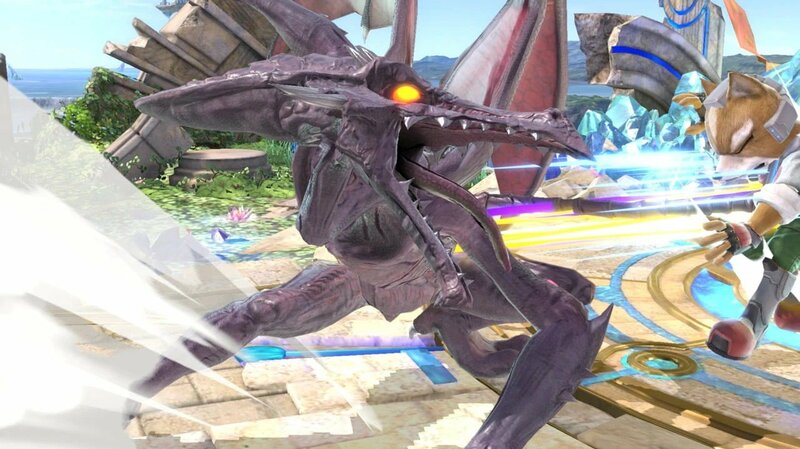 But at a full charge, Ridley will unleash multiple fireballs, which connect for massive damage. There is a big trade-off here, though, because if Ridley takes a hit in the face in mid-charge, he'll take extra damage. 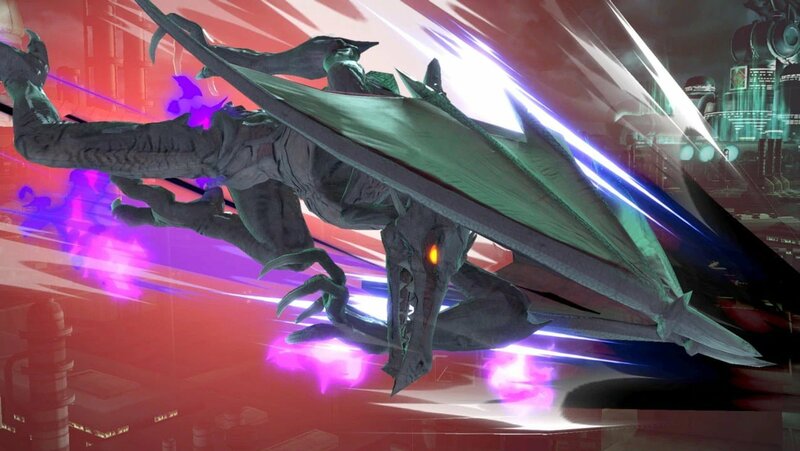 Rising Aerial Dash (Up B): Ridley dashes upwards (or at any angle) for moderate recovery distance, but if he connects with this move up close it will do heavy damage. Dashing Grab (Side B): Ridley will grab his nearest opponent and drag them along the ground, all the way to the closest ledge, dealing moderate damage. Opponents can mash out of this, but it's not easy. Tail Stab (Down B): This move will separate the casuals from the champions. Ridley will use his tail to stab the opponent for minor damage... unless it hits right along the sweet spot. If it hits along the sweet spot, it can deal insane damage and crumple the opponent, to boot. Anyone who can land this with any level of consistency will be tough to beat. The trade-off is that it's a very long startup, so it's going to take some sick precision to nail this just right. Gunship Explosion (Final Smash): Ridley slams an opponent against Samus' gunship. He then fires a beam full blast, blowing up the gunship and any fighters caught in the explosion. Sakurai explains this character elegantly, from his origins to his special moves. He also points to Ridley's ability to jump from specials for various tech moves and combos. Ridley has a lot of potential and it's safe to say that the Smash Bros. pros are salivating for a chance to get him onto the pro scene. But what's been the pros' hands-on impressions so far? Let's take a look at a few reactions. There's no better place to start than with Smash 4 legend Gonzalo "ZeRo" Barrios. He had Ridley at the top of his depth chart immediately following E3. The big reason? The Tail Stab, which he notes took a character from 0% to 59% instantly, leading to a two-hit KO... from 0%! That's bonkers! Add his multiple jumps and the Rage mechanic and Ridley's just downright fearsome, with ZeRo describing him as a boss character. Next, there's Smash 4 Sheik main Void. He sees the potential in Ridley's aerial game. He's also pretty hung up on the high-reward for that Tail Stab special. Nairoby "Nairo" Quezada has messed around with heavyweight characters before, but he was having a ball with Ridley. Watch as he not only muscles a random casual around, but also utilizes Ridley's surprising speed. Eric "ESAM" Lew is another top player who sees a big upside in Ridley, going so far as to say that he'll be looking to add him to his roster of main characters. Here he is taking on his Panda Global teammate, Jestise "MVD" Negron. Smash Bros. commentator D'Ron "D1" Maingrette has also been converted to a Ridley believer after his extensive hands-on time at E3. And lastly, Samuel "Dabuz" Buzby notes that Ridley will be a solid choice. However, he's not going to be mastered overnight and anyone who decides to main this character has a lot of work ahead. side-b not going into free fall will help. However up-b has a big hitbox, ledge snap, and hits hard so that may deter careless edgeguarding. Dair may be a viable 2 frame tool.. Think he's gonna take more time than most characters to figure out. Super Smash Bros. Ultimate is set to arrive in December on Nintendo Switch. Shacknews will continue looking into each of the game's characters from now through the release date and beyond, so be sure to come back for more breakdowns over the coming weeks. Players can also find more information covering Nintendo's latest Switch brawler by stopping by Shacknews' Super Smash Bros. Ultimate walkthrough and guide.